RUNNING A SMALL BUSINESS HAS MANY REWARDS, BUT IT HAS NEVER BEEN AN ENDEAVOR FOR THE FAINT-HEARTED. ONE OF THE MOST COMMON YET AVOIDABLE AREAS OF STRESS FOR SME OWNERS IS THE ABILITY TO MANAGE AND MAINTAIN SUFFICIENT CASHFLOW. It is a tragic paradox that even hugely successful new ventures, which are growing revenue at incredible pace, can fail because they quite literally run out of cash. The good news is that growing broke can be easily avoided by introducing a few basic cashflow management techniques. Successful cashflow management begins with the simple practice of regularly analyzing your financial statements to understand the relationship between profit and loss (P&L) and cashflow. This may seem obvious, yet it is remarkable how often this basic activity is avoided by entrepreneurs and business managers for a combination of reasons: distraction, lack of financial literacy or just plain fear of opening up Pandora’s box. It’s important for business owners to take a long-term and short-term view of their business finances. Understanding the big picture financial metrics is critical like gross profit, operating expenses, and net profit over 12 months. By calculating a monthly percentage for each area, it becomes easier to spot past and potential trends. This is particularly important for seasonal businesses, such as retail, where the required inventory is high but financial returns may be delayed. With a little extra focus in this area, I have seen SMEs report a profit increase of more than 200 per cent. Cashflow management requires a shorter-term view of the business finances. I suggest business owners make this a weekly task. The first step is to predict when the business might start struggling with cash. Then put strategies in place to manage the flow. A simple spreadsheet is often the best tool for managing this process. To forecast the businesses cash position, start by listing projected income and business expenses and when they fall due. SMEs should forecast 12 weeks in advance to identify potential cash shortages. Knowing about a looming cashflow crisis is the first part of managing an SME’s finances. Putting strategies in place to ensure the business has enough money to keep going is a critical part of the solution. SMEs have the advantage of being naturally conservative, having personally invested so much in their own businesses, so they are in a better position to implement strict controls on their budget. By demystifying their financial statements, they can reassess their financial KPIs, check for any discrepancies, and progress to building a strategy for investing profit. Payment terms are also vital. While SMEs should set strict payment terms, such as 14 days, feedback from the SMEs we work with indicate the wait can be as long as 50-55 days. This kind of delay can be crippling at peak times such as Easter, Christmas, and school holidays. Pricing is also an important consideration for SMEs. I always advocate that SMEs know their worth and charge accordingly. The Q3 2017 Confidence Index from CEO membership organization The Executive Connection shows a positive revenue outlook from business leaders of Australian SMEs but no direct correlation to price rises. In the latest quarterly survey, 72 per cent of CEOs said they expect an increase in profitability in the next 12 months, but only 39 per cent are planning to put their prices up over the same period. This is an obvious area where making simple adjustments can help enormously. As the business owner, you should review your debtor days – which is the average number of days the business is waiting to receive payment from customers for invoices issued to them – every month. If your terms are 14 days – send statements twice a month. If you invoiced a customer on the 1st of the month, that invoice falls due on the 15th of the month. Don’t wait until the 30th to remind customers they owe you money. Choosing the right accounting software saves reams of paperwork for both your business and customers. In today’s time-poor society, it’s in your best “interest” to make payment as easy as possible. One option is Xero Accounting Software, which sends invoices with a Pay Now button making it simple to pay the bill. Plan business growth carefully as expanding your business requires more cash than most SMEs realize. It all comes back to deciding which stage of growth your business is at. While SMEs need to be vigilant about collecting payments, they also need to make a judgement call about old debts. 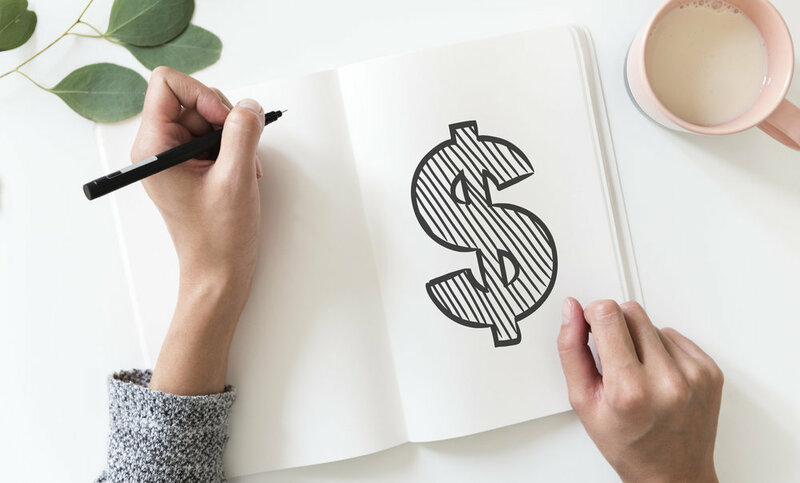 In certain cases, it’s more beneficial to your bottom line to write them off as they’re skewing your data, consuming resources in chasing up the old debt and are unlikely to be paid. Improving financial literacy can have a powerful payoff for small business owners. Through education, SMEs can avoid the debt trap and aspire to bigger growth goals.